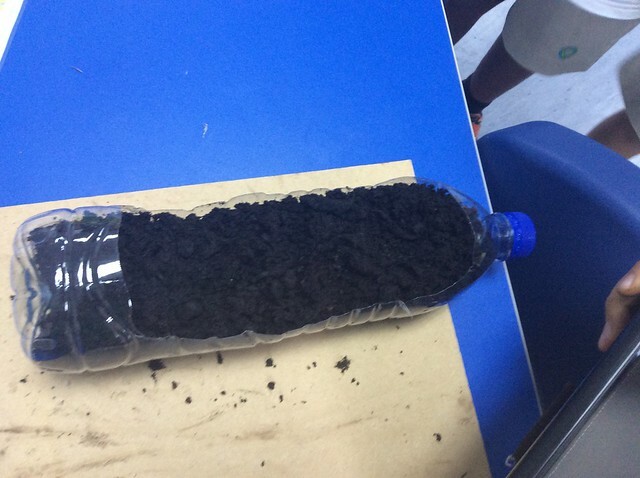 As part of our current Unit of Inquiry into how the world works my class is looking at soil erosion. 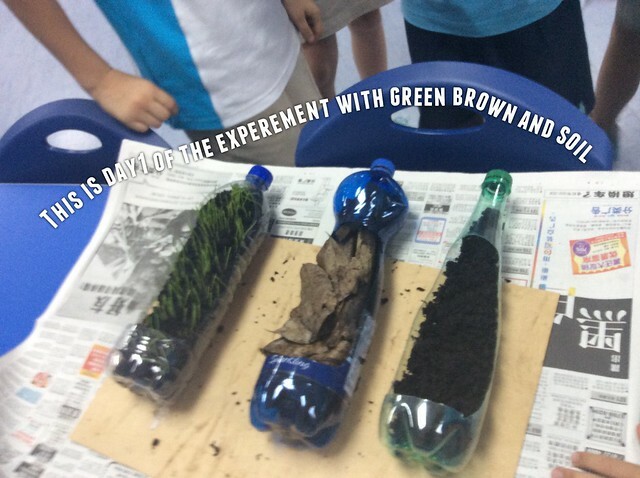 I love experiments like this that happen over a long period of time as each day the first thing the kids do when they come to class is take a look for changes. 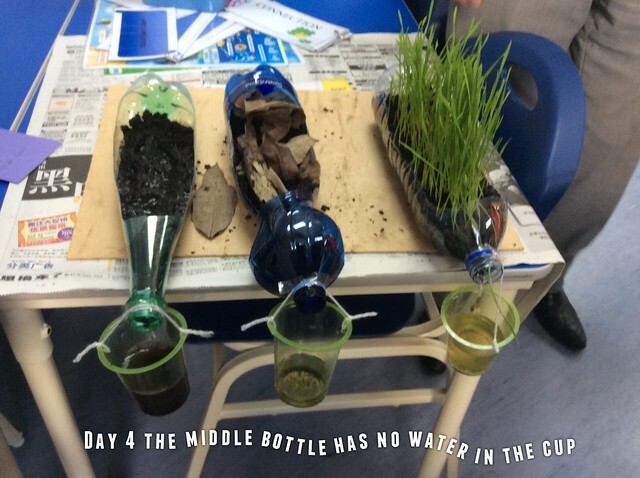 You’ll need soil, some grass seeds, hot glue gun, string, plastic cups, at least three 1.5 litre plastic drink bottles,and board big enough to fit the bottles in. Cut a hole in the top of each plastic bottles, glue it to the board making sure the top of the bottle is slightly over the edge. Fill with soil. 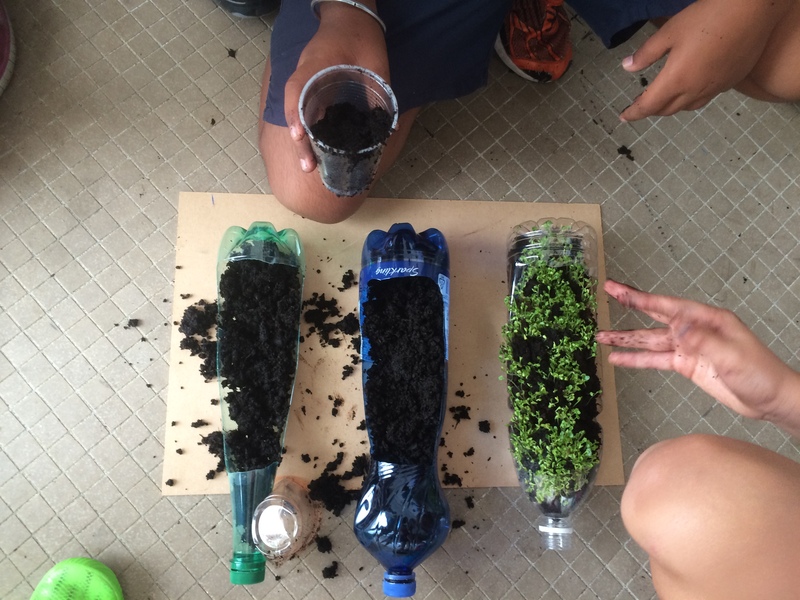 Plant seeds in one of the bottles. Leave for a few days to allow the seeds to germinate. Then fill another one of the bottles with sticks and bark. Leaving the third one with just soil. On the end of the bottles attach either plastic cups using string. The bottoms of drink bottles also work. The idea is that you want something to catch the water. Get the kids to water the plants each day using the same amount of water on each bottle. 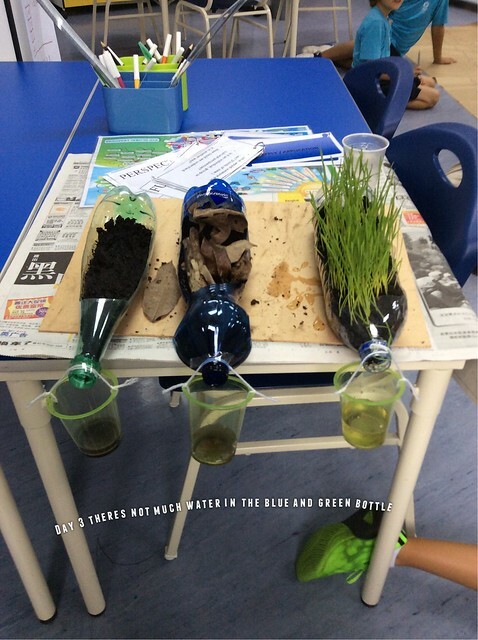 Over time you should start to see the effects of ‘deforestation’ in the cups with the soil bottle dirty and murk while the grass bottle should be relatively clean. My students used a pathon to notate their photos they took of the experiment and a variety of apps to organise their data.